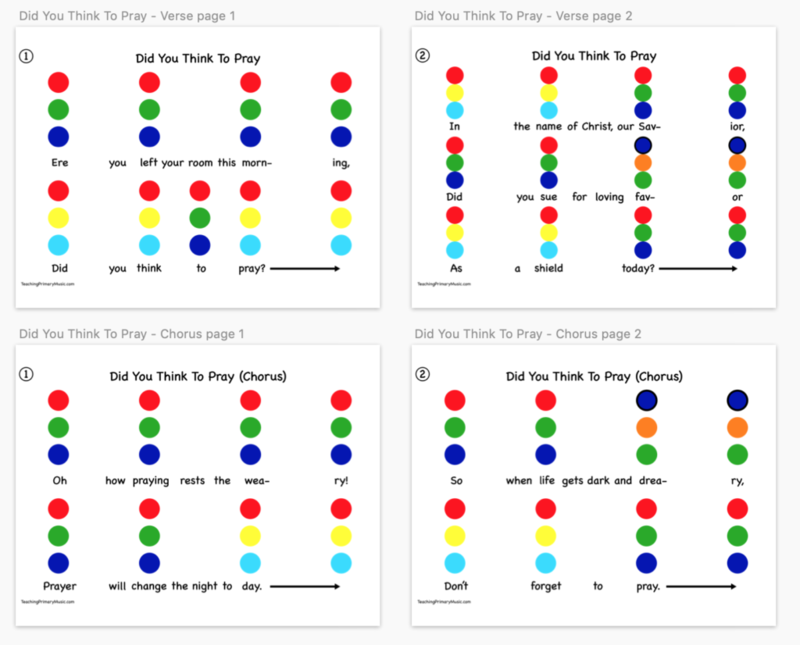 Hand Bell Charts and Melody Maps Printables Available! A lot of you have been asking for Hand Bell Charts and Melody Maps and the ability to print them. With some help I hired a graphic designer to make printable Melody Maps! The first 3 we made available for download right now! Here is the page with all the Melody Maps with links to download. We are finishing up two more, Stand For the Right, and When I Am Baptized. Here is a link to the post about how to print them correctly. These are handbell charts not melody maps, right? Some are Melody Maps and some are Hand Bell charts. Thank you so much for pointing that out! I changed the post. I appreciate you saying something! If I purchase a Melody Map does it come with an explanation. I am not musical and this looks like a handbell chart to me. Sorry. The hand bell charts you use with a KidsPlay set of hand bells. The children each have one bell and ring it when their color of bell appears on the chart as you are pointing to it. The melody maps have an explanation on this blog. Just search the song or search the word melody map. Thank you for asking! Hello! My ward primary recently got the ok to order handbells, but Im at a loss at which ones to order! Do you have any suggestions? Is it better to have the 20 handbell set? Or to order 3 set of 8 handbells? Thank you so much for all of your hard work and help! Yay! This is amazing! Thank you!! !